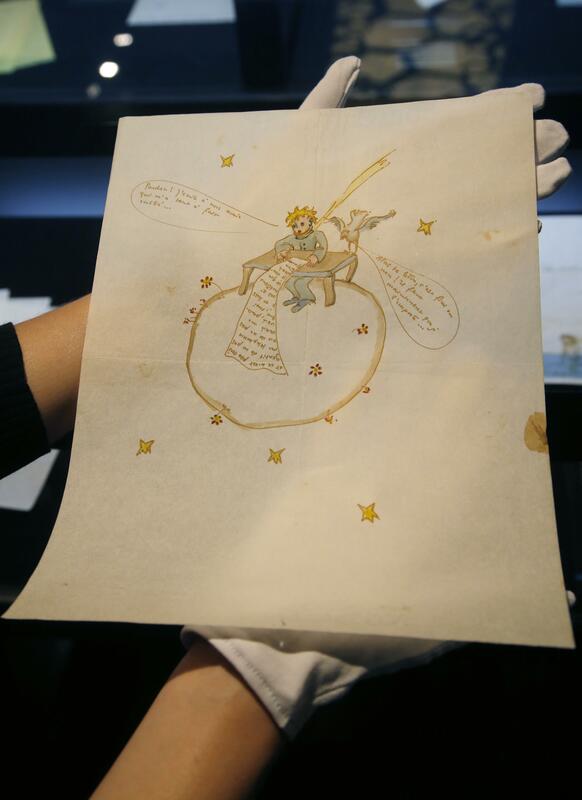 PARIS – An illustration by Antoine de Saint-Exupery showing a likeness of his renowned little prince atop a globe, adorning an anguished love letter, has sold at auction for $289,460. Auction house Artcurial said the offering topped the sale Saturday of 49 autographed works by Saint-Exupery. The watercolor, done around 1942, shows the likeness of the beloved character the author created for the 1943 book “The Little Prince” sitting at a desk with a long scroll of writing tumbling down the globe – representing an 11-page letter to a woman. Artcurial says it was likely that it was Saint-Exupery’s last correspondence before his plane disappeared in 1944 on a mission in World War II. “The Little Prince” is one of the most translated books in history, according to the Paris-based Saint-Exupery Foundation. Published: June 16, 2018, 7:20 p.m.